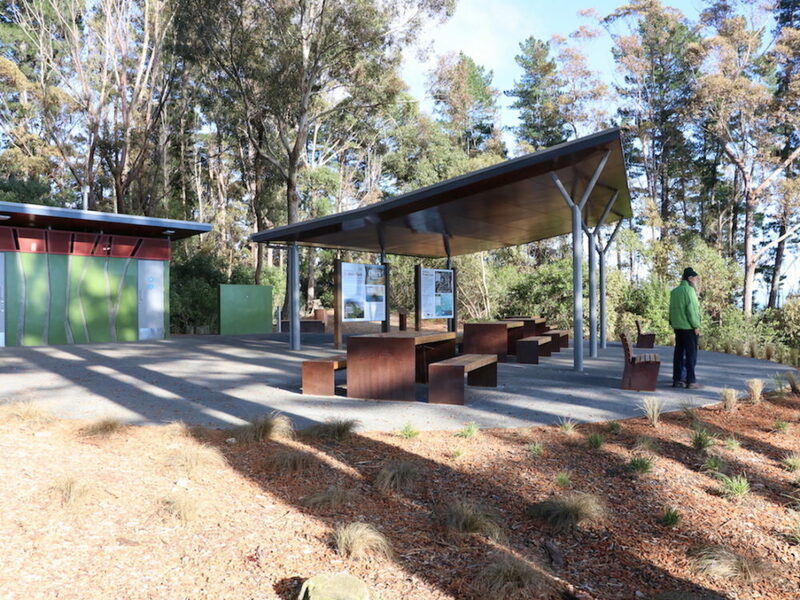 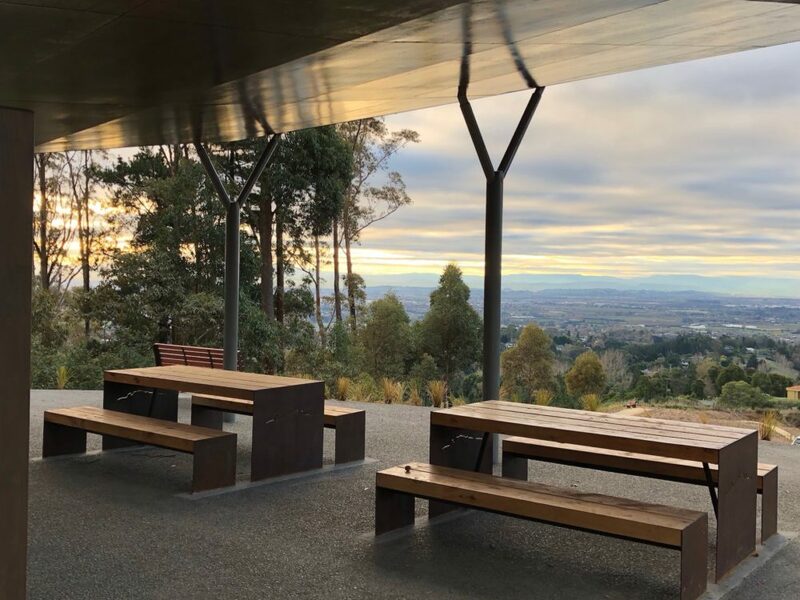 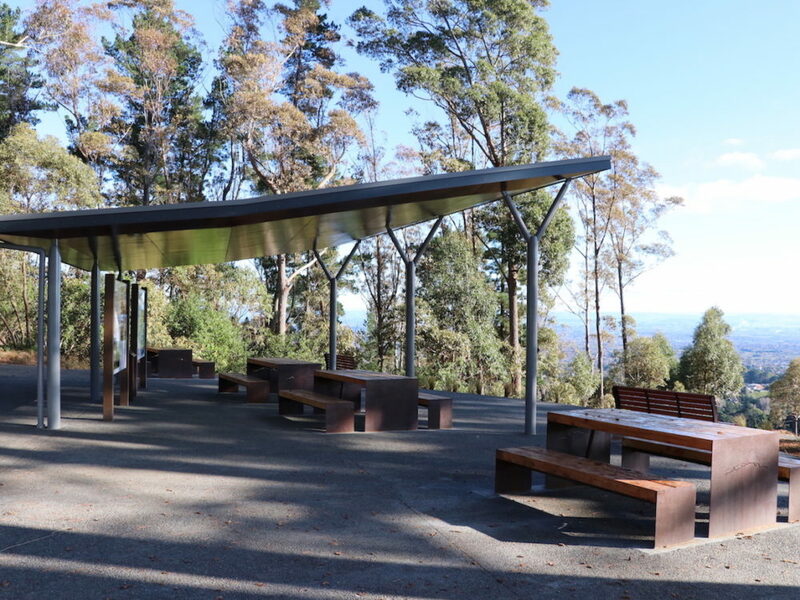 Much awaited by the community this beautiful park now has a setting off point to explore the landscape, with a new information shelter and public toilets. 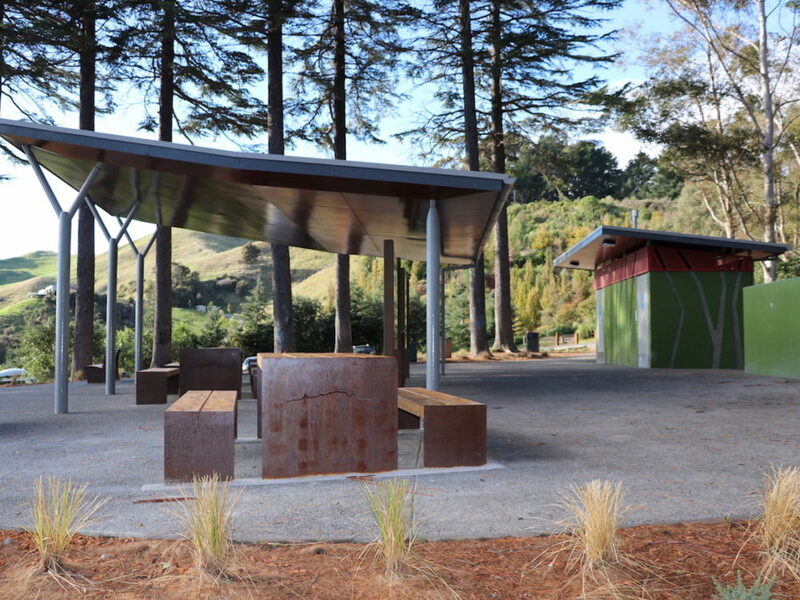 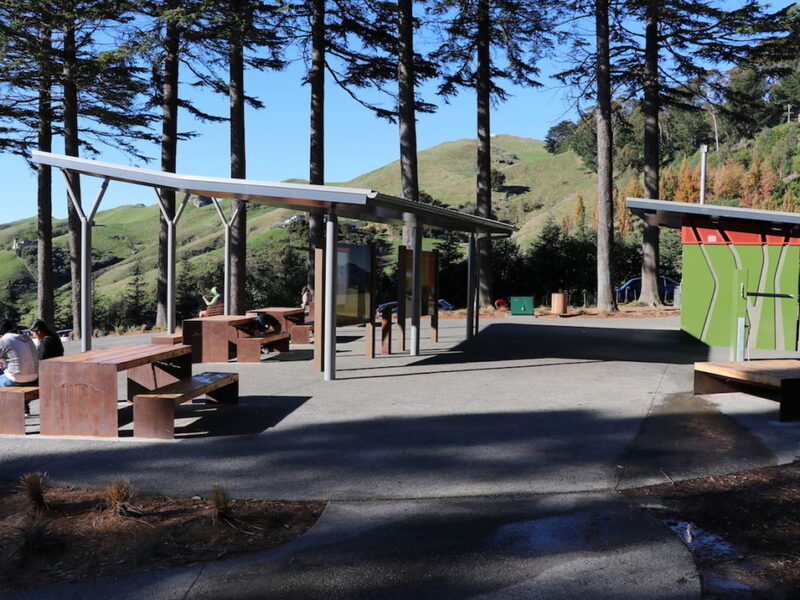 Based on the successful Flaxmere Park design, but modified to suit this place, new toilets have been added at both the top gate site and down at the bottom of the valley where walking and cycling tracks terminate. 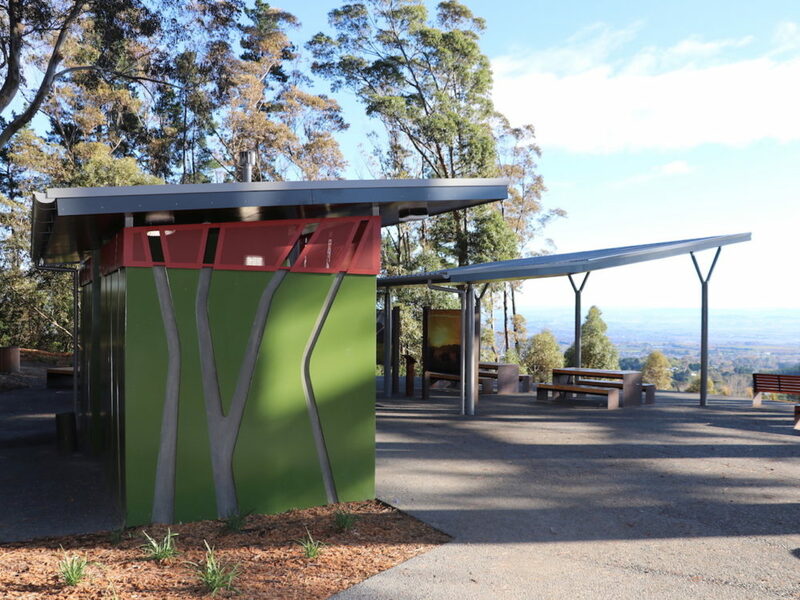 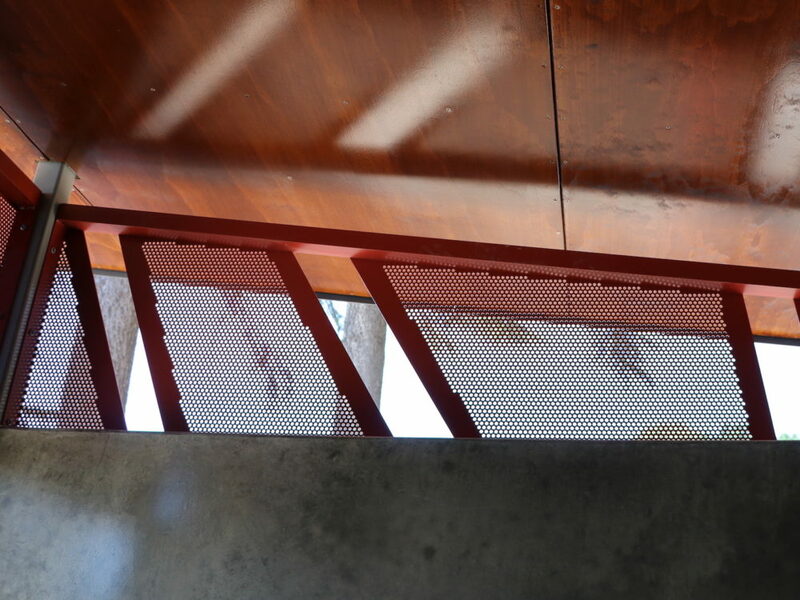 The shelter provides a place to rest but is lifted high to admire the fine views and soaring trees.